Home › Article › Fish Oil Supplements: Are Yours Safe? 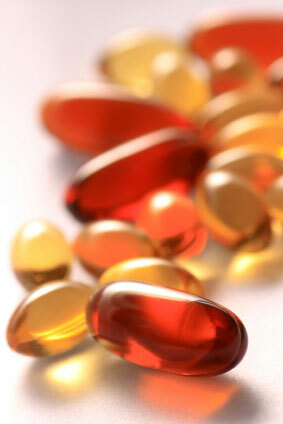 Fish Oil Supplements: Are Yours Safe? 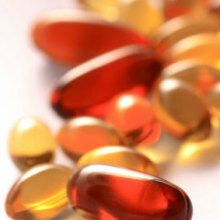 News sources constantly remind us that we should take fish oil supplements for their Omega-3 benefits. But the media also warns us of the dangers posed—both to ourselves and the environment—by unsustainable fishing practices. So what makes fish sustainable, and how can we reap the benefits of fish oil safely? It’s the Omega-3 fatty acids DHA and EPA in fish oil that make it so healthy. According to the Mayo Clinic, taking 1.6 grams of Omega-3s daily can lower triglycerides and blood pressure, reducing the risk of death from heart attack and stroke. Research published in the medical journal Cancer suggests that fish oil may prevent the muscle and weight loss that commonly occurs with chemotherapy; whereas other sources report fish oil combined with diet and exercise is more effective for fat loss in healthy adults than diet and exercise alone. Though scientists are still parsing the benefits of fish oil supplements, fish oil’s anti-inflammatory properties appear to contribute to overall health. The fish oil for fish oil supplements is typically extracted from the head and meat scraps of farmed fish, according to Elisabeth Rosenthal of the New York Times. This is a problem, as the fish-farming industry, say environmentalists, is rife with practices that are detrimental to both human and environmental health. Perhaps the biggest problem is that fish farms feed fish meal or smaller fish to their stock. According to the Times’ Beth Gardiner, for every pound of fish produced, as much as several pounds of wild fish are consumed. That means fish farming does not preserve wild fish populations, as the industry asserts; rather it depletes them. Escapes from fish hatcheries, which, Gardiner writes, are common, are also catastrophic for wild populations because the escaped fish compete with local species. Even if the fish themselves don’t escape, their waste certainly does. In order to combat disease, fish raisers fill cages with significant amounts of antibiotics, which are later washed away into the sea. Mercury contamination is also spread from farmed populations to wild ones. And young wild salmon contract sea lice when passing the cages of their larger and less vulnerable farm-bred kin, with devastating results for the wild population. When looking for a fish oil supplement that is safe for both you and the environment, it’s important to look beyond a label’s claims that a product is “sustainable,” as that term is loosely defined and has no tangible standards attached to it. To have a better idea of what you’re getting in your capsules, look at the ingredients label. Does the fish oil come from smaller fish like anchovies, mackerel, sardines, or herring? That’s a good choice, as those fish are lower on the food chain and therefore have the least impact on population. They also carry the fewest toxins (you’re eating one fish as opposed to eating all the fish that fish ate). The Environmental Defense Fund also has a list of fish oil brands and their sustainability ratings to help you choose. Keep in mind, too, that fish oil isn’t the only source of Omega-3s (though it’s probably the best). Alpha-linolenic acid—found in plant sources like soybeans, walnuts, and flax—has the same positive health effects as fish oil, though research suggests that our bodies process Omega-3s from fish more effectively. Yes, fish oil’s long resume of health boons means it should probably be a part of your supplement regimen. And yes, there are very real problems with the ways we raise and harvest the fish that go into those supplements. But good health is about balance, and knowledge about how your fish oil is sourced will help you make good choices in the vitamin aisle. ‹ Female versus Male Friendships: Is There a Double Standard?